Are You Over 40 And Entering A Figure Competition? If you are over 40 and entering a figure competition, you have some challenges ahead of you. But, you can accomplish your competition goal with the right information and an aggressive action plan. 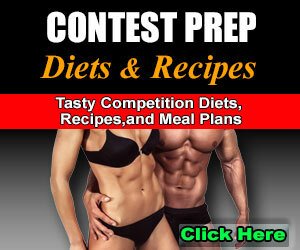 If you arm yourself with the right proper contest prep information you can have your BEST body ever. If you are over 40 and entering a figure competition, first you need to deprogram your mind. Uninstall all the myths, lies, and misinformation that’s been crammed into your head. There’s a nasty rumor going around that once you hit 40 you are washed-up. That’s absolute garbage. As a woman ages her body goes through physical and mental changes, but they can be managed quite easily. If you maintain a clean and natural diet and exercise regularly with cardio and weight training you can keep your metabolism running at high-speed, keep your lean muscle, and maintain your energy levels and motivation. If you are over 40 and entering a figure competition you may have to lose some body fat first. 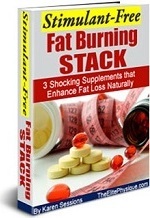 Often times, women in their 40’s have developed some extra fat in the midsection and thighs. It may seem impossible to get it body fat off these areas, but if you implement the right forms of cardio, you could melt those fat stores off in no time. The trick to losing body fat over 40 is not working hard on cardio, but making cardio work for YOU! 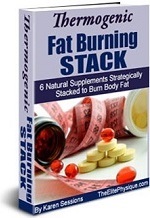 One way to keep cardio effective for burning fat is to use progressive cardio. Begin your cardio in a format that’s challenging, yet not in excess. For example, start with doing moderate cardio for 20 minutes, 4 days a week for a week. 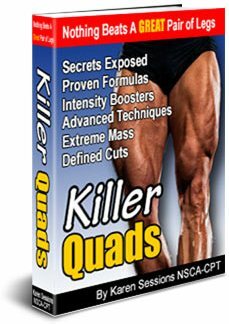 The next week amp that up to doing cardio 25 minutes 5 days a week and add a form of High Intensity Interval Training (HIIT) to one of your cardio sessions. The following week amp it up again with 30 minutes of cardio 5 days a week with 2 HIIT sessions. Keep your cardio progressing and it won’t fall into a rut and you will keep your metabolism up and burn fat. If you are over 40 and entering a figure competition, you need to eat in a structured way. Don’t just eat meals, feed your muscles. Visualize your body transforming every time you eat a meal. Your muscle-building, fat-burning meals should include a complete protein combined with either a complex carb or a non-starchy veggie. Keep your balanced meals on a 3-4 hour rotation to ensure your muscles continually receive a supply of protein for muscle growth. If you are over 40 and entering a figure competition you will succeed if you follow these 3 simple tactics. 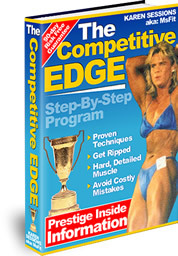 What you really need to do is download a copy of Figure Competition Secrets to walk you through the process of losing body fat, building lean muscle, and the entire contest prep process including posing, suit selection, tanning, etc. 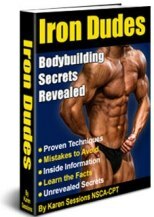 Simply by implementing the techniques outlined in Figure Competition Secrets you'll build and sculpt a work-of-art in just 12 weeks.